I have a confession. I almost never eat breakfast. I know I should. It’s not that I do not like breakfast, but honestly, I forget to eat. Now if you saw me in real life you might think to yourself “there is no way this girl has ever forgotten to eat” but I’m not lying. I forget to eat ALL the time. I will be doing stuff around the house, look at the clock see that it’s 2pm and all of a sudden I will realize I haven’t eaten. I will then usually get horribly sick to my stomach and attempt to eat everything in sight. This is not a good thing. This is why I must get on a normal breakfast eating schedule. So, in my attempt to change my ways I made some baked oatmeal. It’s filled with blueberries, bananas and just a touch of cinnamon. Perfect way to start the day. After I pulled this out of the oven I knew I wouldn’t be forgetting to eat breakfast today! 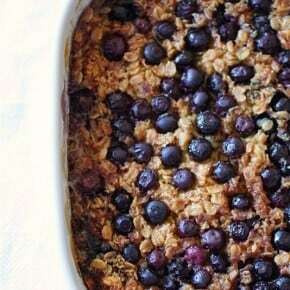 Sweet baked blueberry oatmeal filled with rolled oats, blueberries, maple syrup and bananas. This is the perfect make ahead breakfast. In medium bowl mix together oats, baking powder, cinnamon and salt. Stir to combines. In another bowl beat together milk, egg, butter, vanilla paste and maple syrup. What a pretty breakfast! No one could forget to eat this goodness. I just purchased some raspberries, maybe I”ll make up a raspberry version. Yum Yum! I love breakfast, and I love oatmeal. I just never have time in the morning to make a proper breakfast, this is perfect! Once again you amazed me, I think that may be one thing on my wish list when you come home. It looks amazing. Not only does this probably taste good, I bet it made your house smell amazing! This would be a perfect way to start a day. Yum! I recently discovered how good baked oatmeal is and I can’t wait to try your version. This is definitely a reason to eat breakfast! 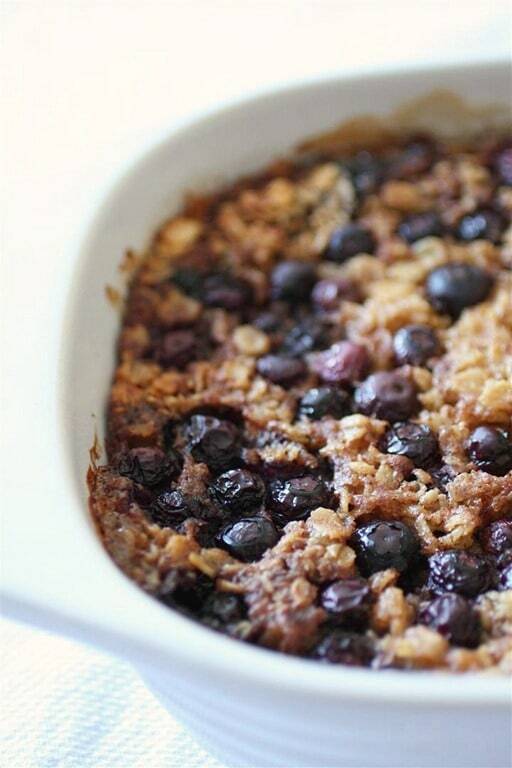 Ooh – never had baked oatmeal before! I likey likey it – especially the way you doctored it up with the fruit. I never forget to eat and it definitely shows! I love baked oatmeal–I bet this was really good! I’ve never made baked oatmeal but I’m sure I would love it, as would the houseguests I’m having soon! This looks so delicious, and your photos are beautiful also. Thanks for sharing! I NEVER forget to eat breakfast but that’s probably because I blog over breakfast. it gives me something to look forward to! I would also definitely remember if I had this waiting for me! yum! No forgetting to eat this. I love breakfast but sometimes, I too forget to eat it. But, try real hard not to- it definitely is the MOST important meal of the day! 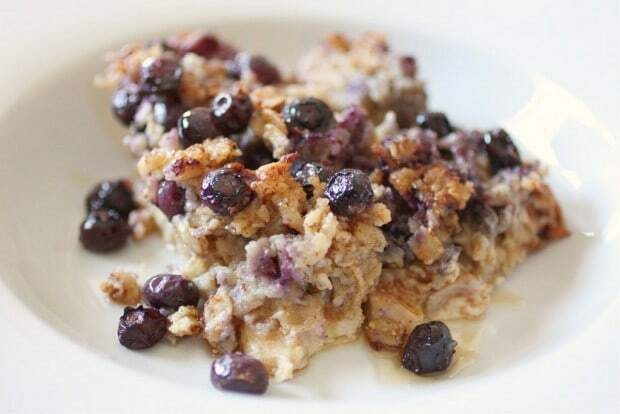 Your baked oatmeal looks delicious and gives a good reason to not skip your breakfast ever! Oats (in pretty much any form) are probably my favorite breakfast…love the look of this one! The blueberries are a great touch. Looks awesome! I’ve been wanting to try something like this w/ steel cut oats. How is it leftover? My hubby is not typically much of an oatmeal fan. But, he is definitely a blueberry fan. I’m thinking this might be just the dish to win him over. Looks amazing! I’ve been wanting to try something like this for a while now – it’s winter in New Zealand and this is exactly the sort of thing I need to get me out of bed on a cold, cold morning! 2 of my favorite things blueberries and oatmeal and I’m a huge breakfast girl, I eat blueberries daily so I gotta try this one! a dish like this would inspire anyone to feast on breakfast–lovely! I never, EVER forget to eat! 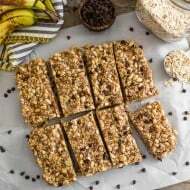 Especially breakfast 🙂 Oatmeal is my favorite choice for breakfast and this recipe sounds right up my way! yum! Yum! I’ve never thought to bake it before, but this sounds wonderful. I love baked oatmeal. Love your blueberry version! This looks absolutely delicious! Thanks for linking up at 5 Flu-Fighting Foods! 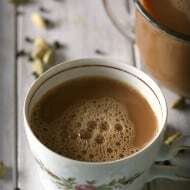 Hope you’ll come back next week and link up a green tea recipe! Ohhhh this looks so yummy! I’m adding this to my list of things to try. 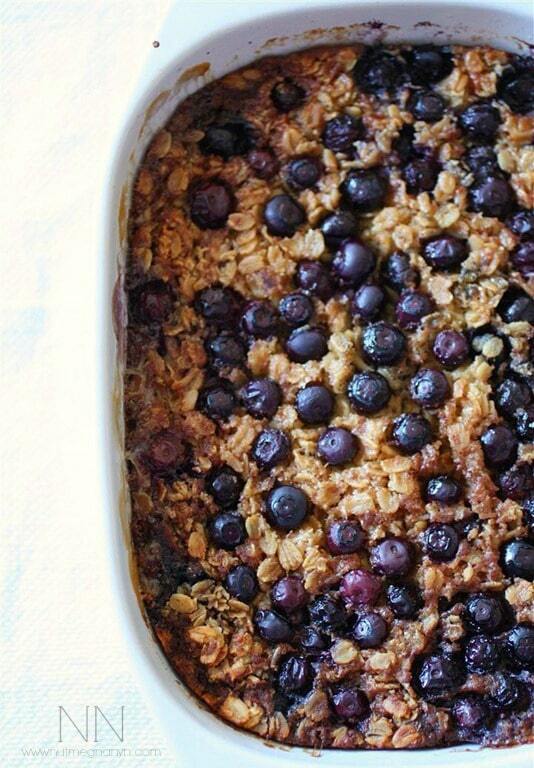 I love a good baked oatmeal recipe. It’s such a comfort food. Thanks for linking up to 5 Flu-Fighting Foods! My toddler is on his second bowl of this yummy (healthy) breakfast treat! The smell of think baking is divine!! I made this for breakfast this morning and it was a hit!!! So yummy. My son and husband are not big fans of traditional oatmeal. They each had two servings of this delicious and heart healthy dish. Thank you! Yum! Had to replace syrup with honey and didn’t have bananas around the first time I made it, but def a success! Recommend! And it’s still yummy when reheated. this recipe makes the house smell like cookies! i can’t wait to try it tomorrow morning. That looks delicious. I am an oatmeal addict and I am so gonna make that tomorrow! I am happy this recipe got shared on the I heart naptime page! Thanks for linking up to the party! I can’t wait to try this version of baked oatmeal!! You know how I feel about breakfast..best meal of the day! How you don’t eat it sometimes baffles me, especially when there is blueberry oatmeal like this to have! I love this recipe and my family does too! Thanks for sharing! How does this qualify as make-ahead? I’ve made this before and loved it, but would I be able to mix it the night before and then throw it in the oven in the morning or something? I made this VEGAN…it was DIVINE. I subbed almond milk, 1/3 cup chia seeds for the egg and Earth Balance Organic vegan “butter”. I can’t wait to make it again!!! Could frozen blueberries be used? Hi Jennifer! 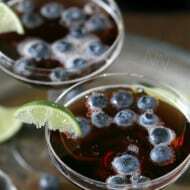 I have not personally used frozen blueberries but I think they would work out fine! Can this be frozen and reheated at a later time? Looks delicious! Hi Crytal – Yes, I have frozen it before in little squares and then warmed it up in the microwave in the morning. Hope you enjoy the oatmeal! I´ve made this with a bunch of different fruit combos (apple-blueberry is my personal favorite) and I do it without the syrup because I´m diabetic. It´s still my favorite breakfast! Thanks!